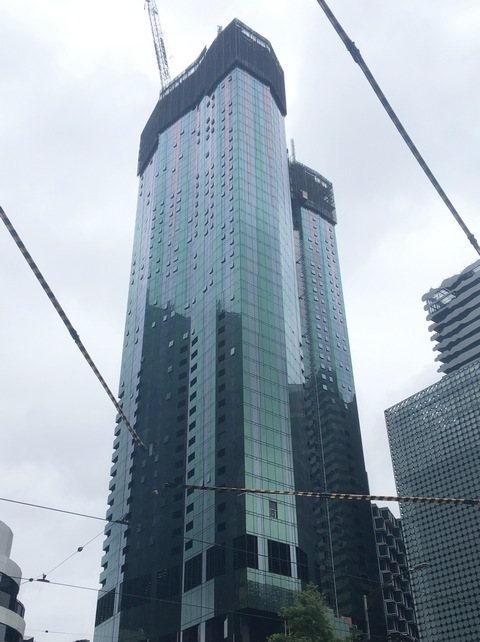 Swanston Central, a 1030-apartment project on the heritage Carlton United Brewery site in Melbourne, Australia, is scheduled for completion in late 2019. 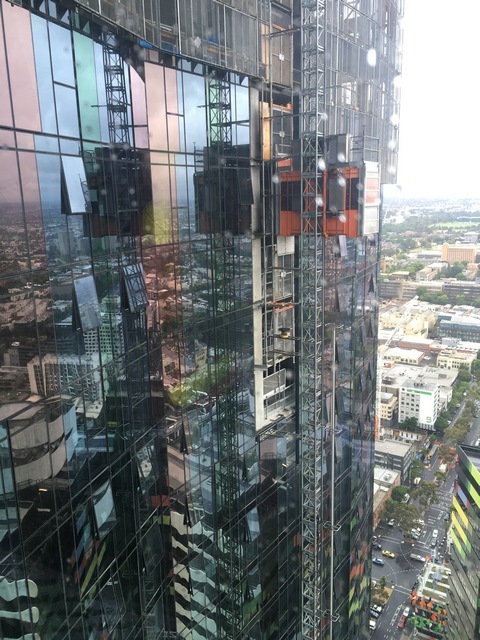 Designed by Elenberg Fraser architects, the 70-level tower sits on the corner of Carlton’s Victoria and Bouverie streets, rising 235m into the sky above the intersection of the city’s Hoddle (CBD) and Carlton grids. 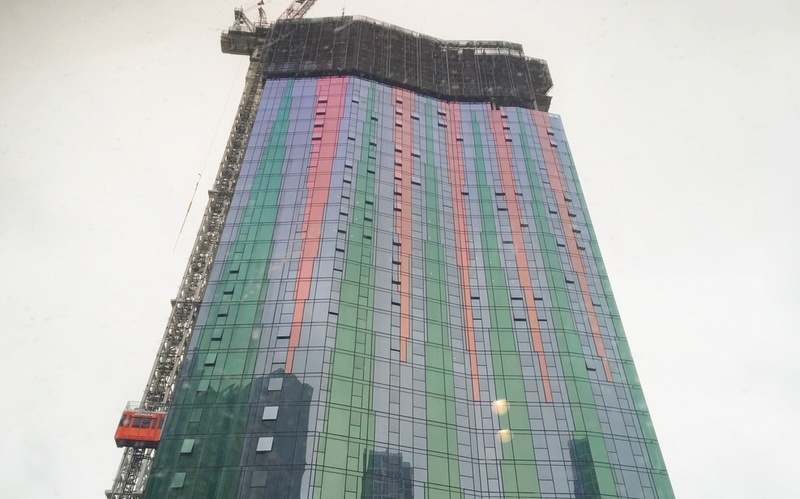 Vertical fingers of descending pink glass and rising green glass, separated by a dividing silver hue, create a shimmering effect through the height of the façade. 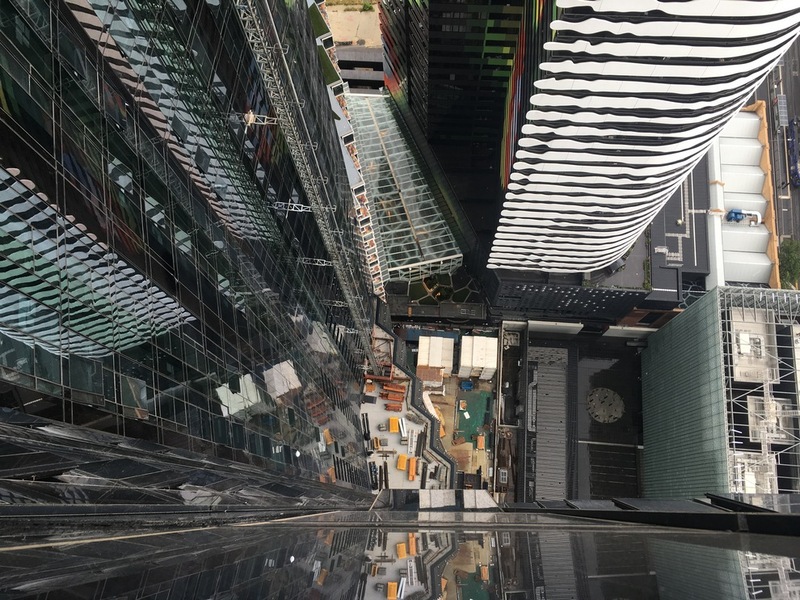 The tower façade is connected to the mixed-use podium by a series of glazed “Hero Columns” which geometrically splay over their length ranging from 4 to 6 storeys. Recessed beyond these features sits a blanketed wall of Glass Reinforced Concrete (GRC) blade louvres, used to intelligently conceal the fully automatic car stacker providing resident parking over these levels. The podium includes 2,700 square metres of mezzanine retail space with a food and beverage offering fronting Bouverie Street with bluestone cladding and large span glazing to assimiliate with the refurbished Carlton United Brewery building. Inhabit is providing full façade consultancy services for Hengyi and Multiplex as well as engineering and certification services for a number of the façade contractors.